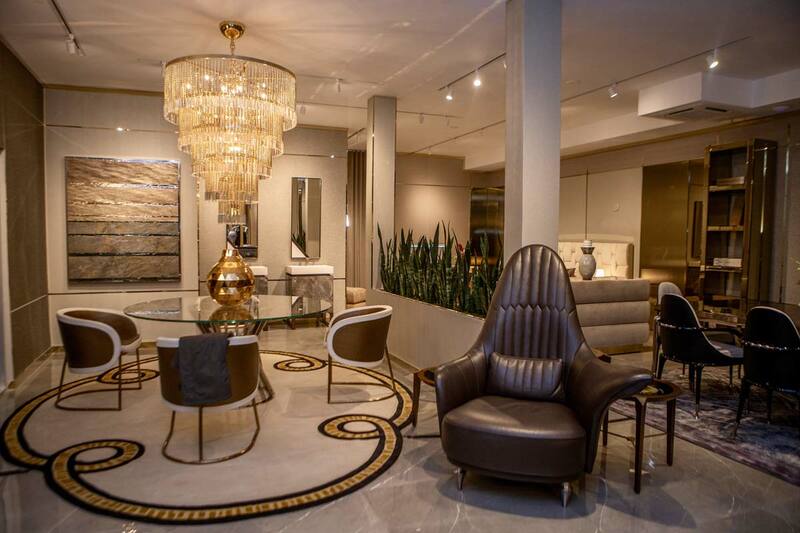 Following the opening event debuting Visionnaire‘s flagship showroom in West Hollywood last week, the Southern California market now has a deeper understanding of the Bologna-based heritage luxury interiors company. Located on the Robertson Boulevard corridor with neighboring leading names in the industry such as DDC Domus Design Collection, Knoll, Flexform, Cassina and Luminaire, Visionnaire’s approach stands out for its approach to complete “turnkey” projects and the ultimate attention to detail. “When you talk about L.A., it’s a place that’s unique in the world for private projects,” says CEO Andrea Gentilini. “All the people want to be in L.A. It’s important for us to be here,” noting the growing demand in the city for completed projects that he’s observed in recent years. 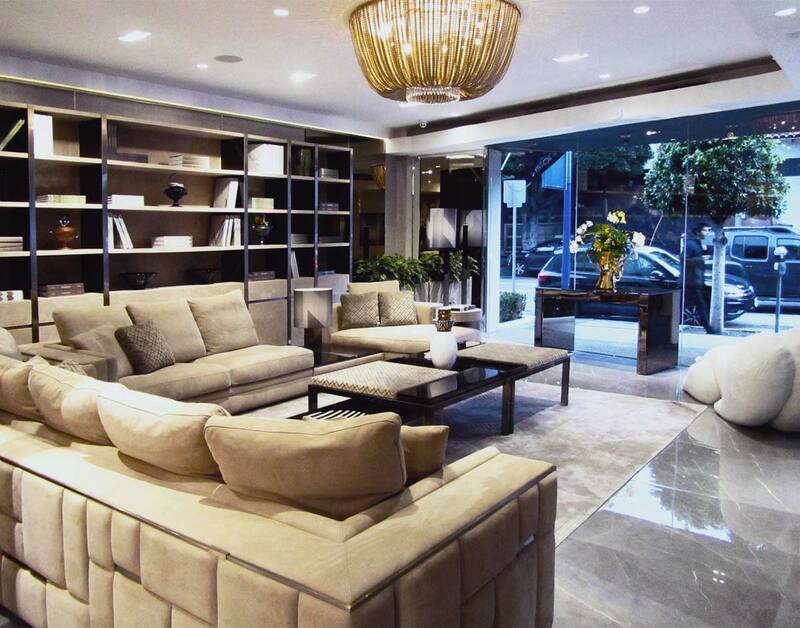 Prior to opening the brick-and-mortar space, Visionnaire has already undertaken many projects in the area. 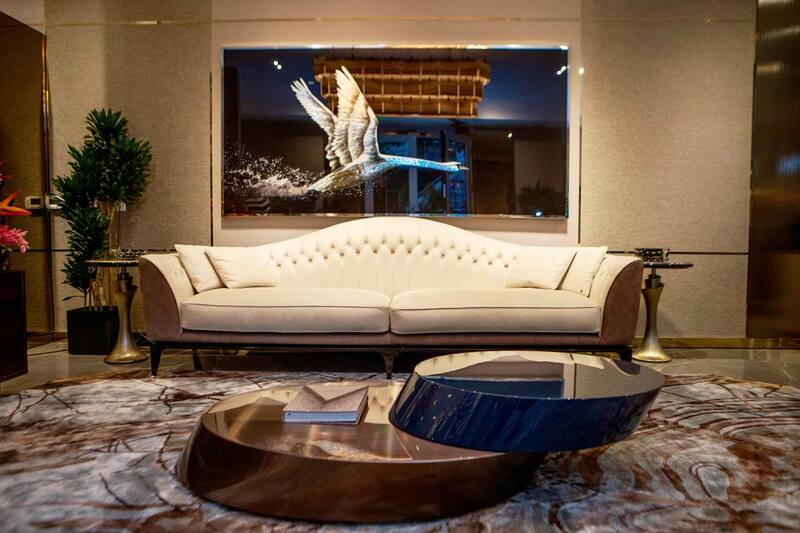 With a full crowd able to see up close the custom hand-made pieces created for indoor as well as top-quality outdoor furnishings, spirits were lively at the party, which also featured performances and dramatic birds (including a falcon) visiting from an animal rescue sanctuary. “We’re trying to do something very different, and be very attentive to the genius loci, which means the true soul and spirit and roots of a city,” explains Eleonore Cavalli, who is the head of Art Direction as well as Marketing and Communication, explains. Visionnaire’s presence in every place means understanding the overall context, as well as being closer to the needs of its specific projects that involve closely collaborating with architects and designers. 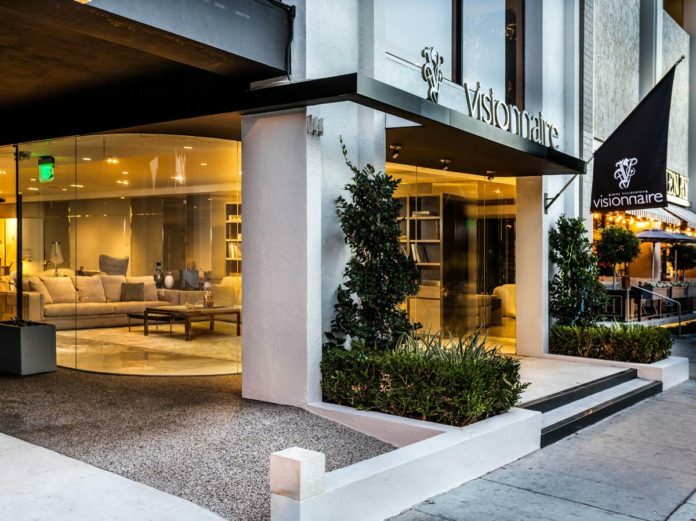 In the end, Visionnaire is excited to showcase the firm’s mix of comfort and glamor — along with respect for the best forms of Italian traditional craftsmanship and creativity — to the West Coast, and to this design community in particular. “We have the capability to create the atmosphere, and the mood,” Gentilini adds.